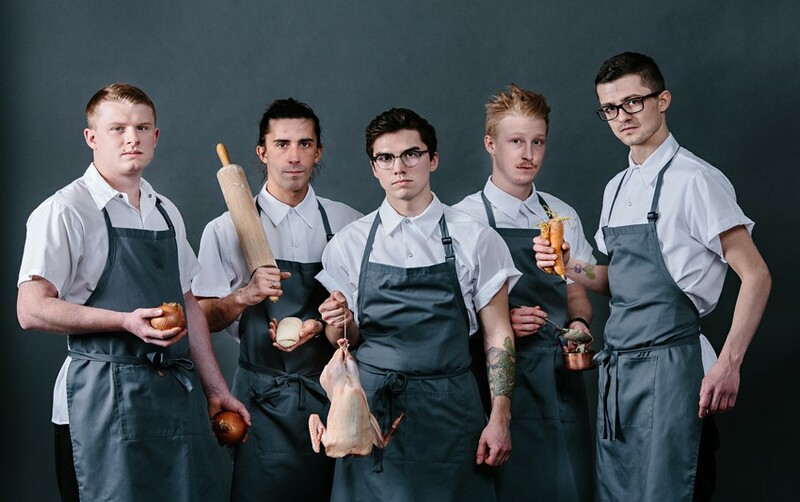 Wine & Words is the latest addition to Liquidity’s line up of artistic experiences. In partnership with the Vancouver Writers Fest you will have the opportunity to spend time in an intimate winery setting with some of the world’s best literary talents. Esi Edugyan has twice won the Scotiabank Giller Prize for her novels Washington Black (2018) and Half Blood Blues (2011). Both novels were also shortlisted for the Man Booker Prize. She has degrees from the University of Victoria and Johns Hopkins University. Her work has appeared in several anthologies, including Best New American Voices 2003. Her debut novel, written when she was 25, The Second Life of Samuel Tyne, was published internationally. In 2014, she published her first book of non-fiction, Dreaming of Elsewhere: Observations on Home. 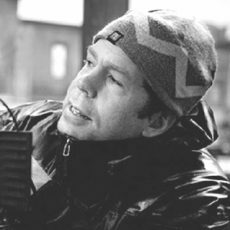 Steven Price is the author of three novels, Lampedusa (forthcoming August, 2019), By Gaslight (2016), longlisted for the Scotiabank Giller Prize, and Into That Darkness (2011). Also an acclaimed poet, he has written two award-winning poetry books, Anatomy of Keys (2006), winner of the Gerald Lampert Award, and Omens in the Year of the Ox (2012), winner of the ReLit Award. Includes one of the author’s novels as well as special offers from Liquidity & Vancouver’s Writers Fest. Don’t forget to book a lunch or dinner at the Bistro to truly enjoy your experience at Liquidity. 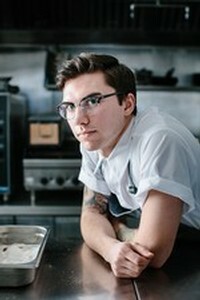 Book online at www.liquiditywines.com/Bistro or call 778-515-5500 Ext 1 to make a reservation. The convergence of many art forms into one cohesive creative experience. 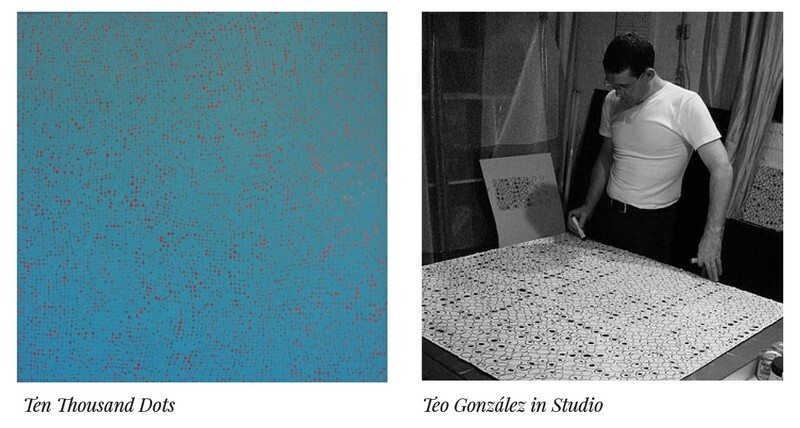 Ten Thousand Dots exemplifies Teo González’ post-minimalist style. Layered within an uneven grid, cell-like circles are intermittently filled with painted dots. A riff on the primary colours of blue and red, the cyan background is accentuated by floating magenta dots, conjuring a natural habitat and living organisms. González’ surface is a testament to his process: a methodical, perhaps painstaking, creation of concentric “stains” repeating themselves across the canvas. The painting becomes its meaning - a treatise on disciplined repetition and the nature of paint itself. However, despite González’ refusal to ascribe a message to his work, viewers may find a reference to nature in the painting’s undulating membranes and perhaps even to the human body where moving nuclei follow arterial pathways. Minimalist art of the 1960s and 70s sought to make art that eschewed metaphor and political and social meaning. Rather, minimalism aimed to reduce art to a purely aesthetic experience where material and form replaced content. It claimed to be self-referential. That is, the work pointed only to its own making, materiality, and visual matter. Abstract Expressionism before it, as practiced by artists such as Jackson Pollock and Mark Rothko, was concerned with emotion and the gesture. Minimalism, by contrast, with artists such as Donald Judd and Sol LeWitt, removed the hand of the artist and presented objects that used industrial and synthetic materials and the seriality of shapes. González calls up these two art historical movements. True to minimalism, his paintings are self-referential. Certainly, when apprehending his works, the viewer is forced first to consider the process of its production and is overwhelmed by its visual field. However, in the tradition of gestural painting, González’ hand is present in the work. The taches seem almost primordial and intuitive and they enliven and loosen the restraint of the painting’s surface. For more information about Teo visit www.teogonzalez.rocks or follow @teogonzalezstudio on Instagram. Dr. Lara Tomaszewska is an art historian and art advisor to private and public collections in North America, the UK, and Europe. She holds a PhD in Art History with expertise in Canadian art, European painting, and American modernism. Lara has taught at the University of Victoria and the University of British Columbia and her consulting projects include provenance research and acquisition planning on works by Emily Carr, Henri Matisse, Edvard Munch, Pierre Auguste Renoir, Dale Chihuly, Emily Young and Wu Ching Ju. 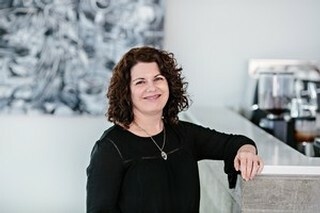 Lara is the founder and director of Openwork Art Advisory and is a member of the Association of Art Historians, the Universities Art Association of Canada, and the International Society of Appraisers. 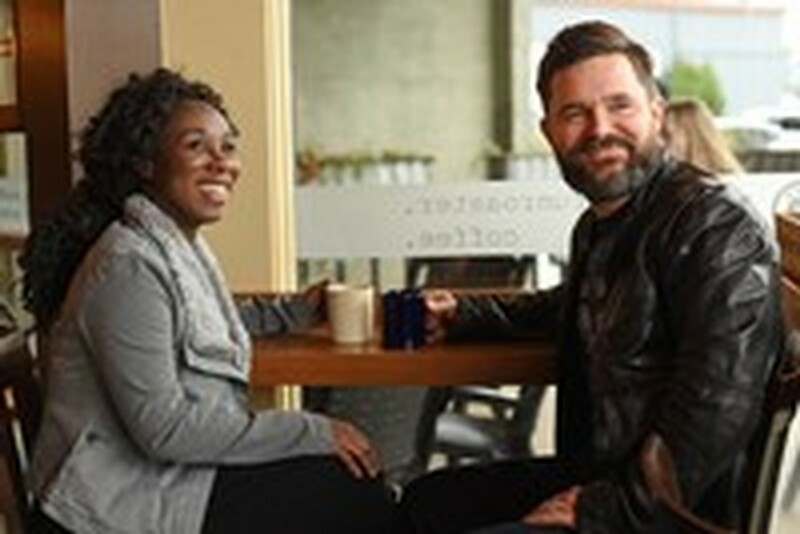 Okanagan Falls, British Columbia, March 12, 2019 – Known for producing wines of international acclaim and home to an elegant on-site bistro, Liquidity Wines makes a change in leadership as Ian MacDonald and the Board appoint Ruth Hanbury as President. Liquidity Wines is owned by a small group of people dedicated to making wines reflective of the terroir of Okanagan Falls. Originally founded by Ian MacDonald, Liquidity Wines delivers a full sensory experience around wine, food, and art. 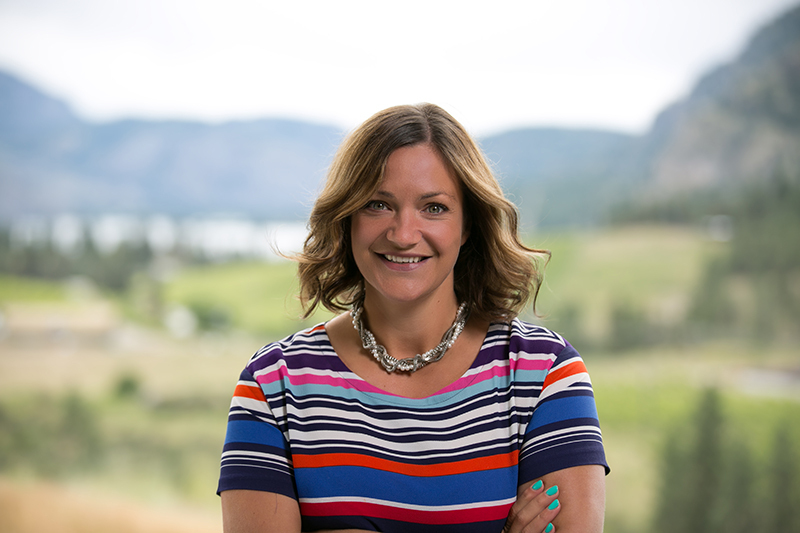 After months of transitional planning with MacDonald, the Liquidity Wines Board of Directors recently appointed Ruth Hanbury to President. While Hanbury joined Liquidity in 2014 as General Manager, her career in wine began in 2001 while working at Felton Road in New Zealand. “I fell in love with the wine industry and knew I had to be part of it,” she says. Hanbury holds a masters degree in Business Management from the University of Saint Andrews in Scotland. 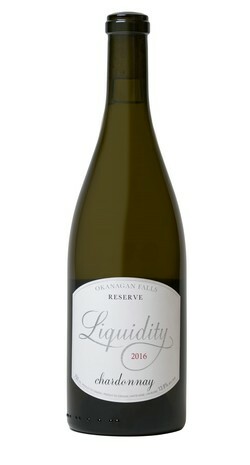 For more information on Liquidity Wines please visit the website, email the winery, or call directly at 778-515-5500. 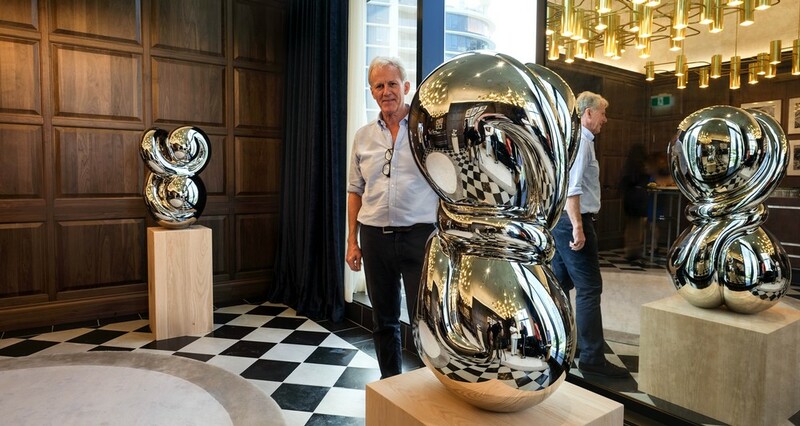 Located in our new Dividend Tasting Lounge is Twisted, a sculptural work by the celebrated UK sculptor Richard Hudson. Proudly presenting “Twisted” by the renowned UK sculptor Richard Hudson. Richard is an acclaimed contemporary sculptor whose monumental and smaller scale works have achieved global recognition. Hudson pares down iconic shapes such as the heart, teardrop, and human form, leaving only the essence of meaning. Traditional ideals of balance and harmony are sculpted in hard polished steel yet retain softness in elongated lines and curves. While many artists cite inspiration from masters such as Constantin Brancusi and Henry Moore, Hudson’s work moves beyond this lineage to innovate forms through process and materials. Based in a quest for classical beauty, the works open up a distinctly contemporary dialogue between the viewer and changing forms of (urban) landscape to probe a deeper investigation into the human psyche. Mixed media artist Lyle XOX will launch his first Canadian solo exhibition, Head of Design, September 7 through October 14 at Liquidity Wines. This exhibition is in this creative climate of blurring that Lyle finds his mixed media self portraits not only accepted, but highly celebrated. The portraits are transformative in nature and fuse inspiration from high fashion with the mundane objects of every day life; taking beauty and turning it on its head. “For me, it is not about Drag, female impersonation or living the life of a New York City clubkid. It has always been and continues to be about the art. My face as a canvas.” Through the process of removing his self identify and replacing it with that of an object, it encourages dialogue on a journey connecting the viewer with a myriad of objects relating to their own carbon footprint and consumerism through a surreal lens. 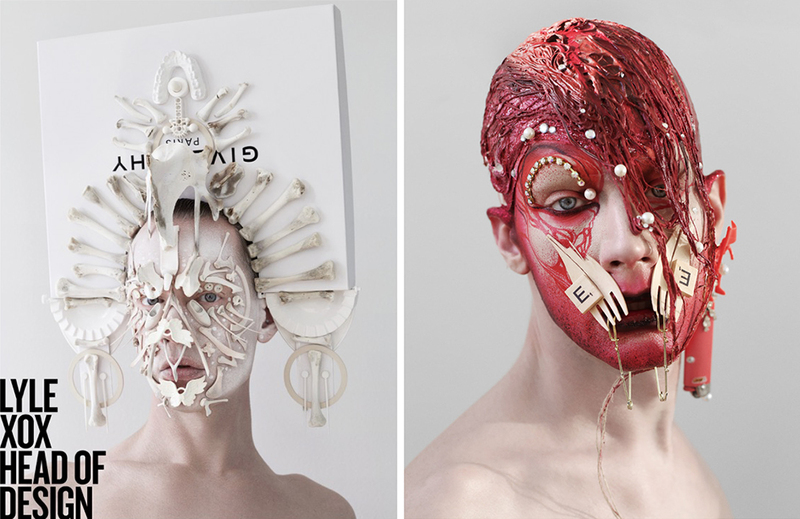 Liquidity Winery is pleased to present these self portraits that fuse facial sculpture, makeup, found objects and fictional writing into works that speak about the power of transformation and the ability to move beyond the sense of self. 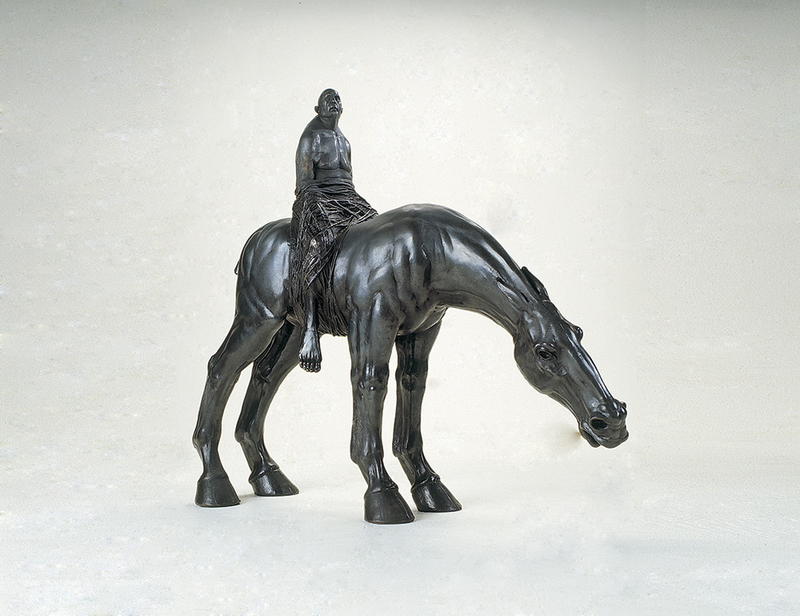 This summer, Liquidity Wines is thrilled to announce that David will showcase three pieces, including his monumental work, Equestrian, at the winery. It will be on display until the end of the 2019 season in October. Sculptor David Robinson has been a force in the Canadian art scene for the last 25 years. Based in Vancouver, he is known for his conceptually and physically complex works that are outstanding contemporary examples of a type of humanist realism that engages with fundamental, often spiritual questions of the experience and meaning of being. His sculptures do this through a few central premises; the universal human, our interaction with the physical world and the exploration of metaphysical ideas and their expression in form. And he’s looking forward to seeing his art featured at Liquidity Wines this summer, too. David will talk about his pieces showcased at Liquidity Aug. 17 at 3 pm in the Premium Tasting Lounge. Robinson has produced numerous solo shows, and participated in many group exhibits nationally and internationally. 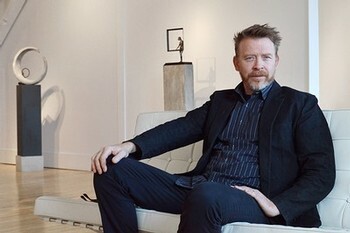 His sculptures have been commissioned by such clients as Polygon Homes, the Four Seasons Hotel Resort in Whistler, the Regional Municipality of Wood Buffalo, and Century Group. His work is in many private and corporate collections including the Rosewood Hotel Georgia, Dentons Canada LLP, Painted Rock Estate Winery, Toronto Dominion Bank, and Vancouver General Hospital. Liquidity Winery is pleased to present American Beauty Exhibit: The Opulent Pre-Depression Architecture of Detroit – May 31 to June 30. This exhibition presents the large format photographic work of Canadian photographer Philip Jarmain. Since 2010 Jarmain has been documenting the increasingly rapid destruction of Detroit’s early twentieth-century buildings. His emphasis in this work is on the architecture itself of these vanishing edifices: The form and the detail. 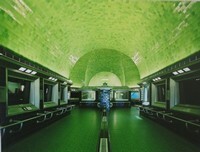 In Jarmain’s own words: “These are the last large format architectural photographs for many of these structures.” This is work of great visual impact, the scale and definition of the images translating for the viewer into space that one enters, a physical presence that one feels, and history that one contemplates. The majority of these majestic pre- buildings are presently being destroyed at an exponential rate as they lie victim to scrappers, arson, and demolition. These photographs as an opportunity to consider the historical and current state of Detroit as an American city. 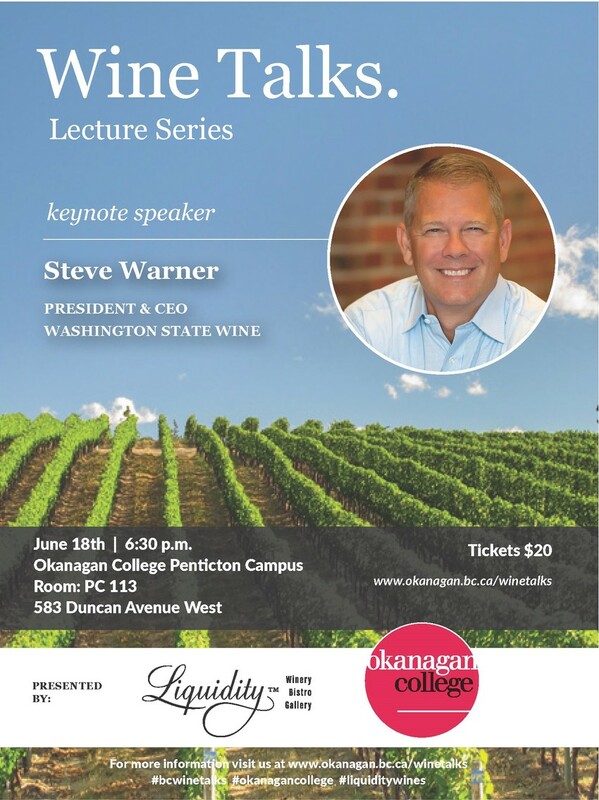 Steve Warner was appointed as President & CEO of the Washington State Wine Commission in February 2012. Steve came to the Commission from Merck & Co., Inc., where he was the Managing Director based in Bucharest, Romania. Prior to that, he held General Manager and marketing positions in global and regional marketing in the Asia Pacific region and led teams while living in Seoul, South Korea; Bangkok, Thailand; and several domestic markets. In addition to a bachelor’s degree in biology, Steve holds a master’s of business administration in international business and finance from Rutgers University. Born and raised in eastern Washington State, Steve graduated from West Seattle High School before serving in the United States military’s Special Operations Command, first as a Sergeant in Pararescue and then as a Lieutenant Commander in U.S. Navy Special Operations. The Washington State Wine Commission represents every licensed winery and every wine grape grower in Washington State. Guided by an appointed board, the Commission provides a marketing platform to raise positive awareness of the Washington State wine industry and generate greater demand for its wines. Funded almost entirely by the industry - through assessments based on grape and wine sales - the Commission is a state government agency, established by the legislature in 1987. Tickets are $20. Refreshments will be served.